I remember middle school with the leaking ceilings, rats, and roaches. I remember losing most of my Cleveland friends because I went to boarding school in Boston. I also VIVIDLY remember not having many at all in Boston and feeling completely isolated both in Boston and especially back in Cleveland. I remember a teacher in high school embarrassing me in front of my peers by asking if I knew how to write. I remember she thought that she was being helpful. I remember getting into Tufts and not telling anyone that I got in for months because I thought it was a joke – that I wasn’t good enough. I remember emailing with the admissions officer and them telling me that they were the person who fought to get me in. Years later, I rememer interning for the admissions office, looking at my scores, and a friend who worked there telling me that my scores were okay but not good enough. My essay, resume, and interview/personality are what pushed me through. I remember not being ready for college – financially and having to work 5 jobs to stay in school. I remember all the sleepless nights and studying that I missed, because I had to work 5 jobs to stay in school. I remember almost getting kicked out of school because I had to work all the time TO STAY IN MF SCHOOL! I remember bouncing back from academic probation and being .01 of a point away from making the Dean’s List from one semester to the next. I remember thinking that I’d never get into graduate school became my gpa was so low. l remember getting hella bonuses and a SUBSTANTIAL raise at my first job in the U.S. Senate and my bosses making me apply to business school. 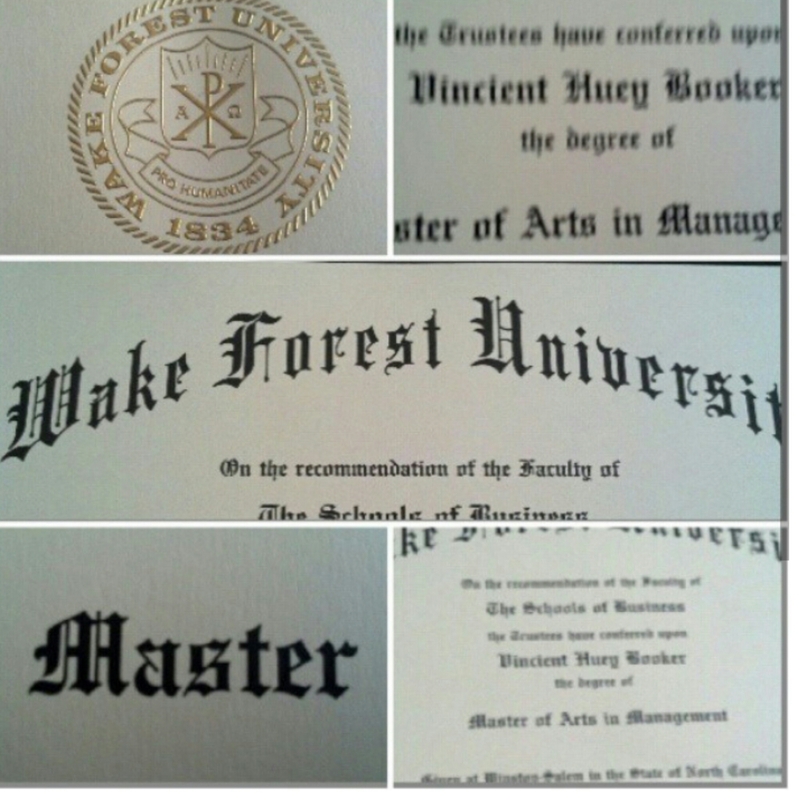 I remember murdering the GRE and getting into the Wake Forest University Schools of Business because of it. I remember having to redo one semester while working a full time job because operations and finance hurt my soul lol. I remember the feeling knowing that I wouldn’t graduate with my peers. I remember that call late December 2012 from my Dean, whose also a personal friend and the Director of my masters program personally calling me to let me know that I’d be getting my masters hood. I remember almost crying at that moment, but I’m a gangsta so I just screamed real loud in my car. I remember not just the struggle, but the man I’ve become in spite of it.